MACSQuantify Software is available as a stand-alone product or as an additional license for your existing software package. It is widely acknowledged that spectral overlap is problematic for flow cytometric analysis using certain fluorochromes. With the MACSQuant Analyzer, 7-color compensation is fully automated. Find out how it can make your life easier! 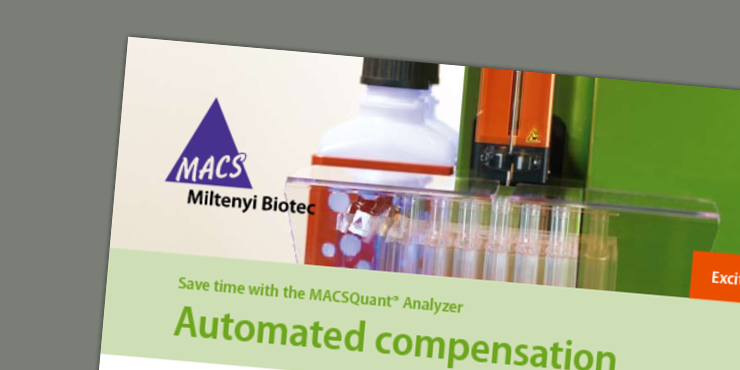 Download the quick guide on automated compensation and find out how MACSQuant Analyzers can help you save time during your flow cytometry experiments. 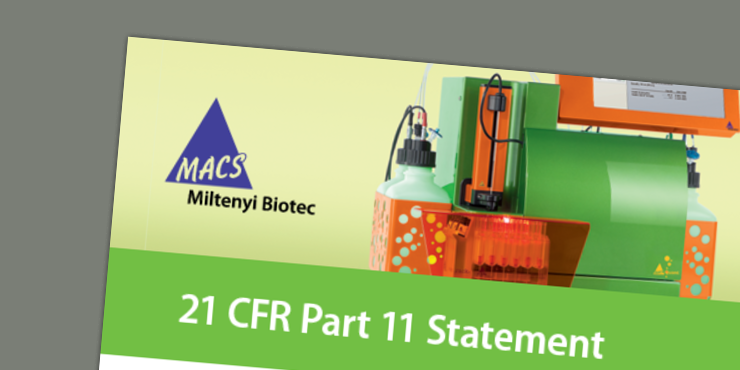 Download the 21 CFR Part 11 Statement with detailed information on all MACSQuantify Software features that enable the submission of electronic records to the FDA. Find out how to use Express Modes on our MACSQuant Analyzers. 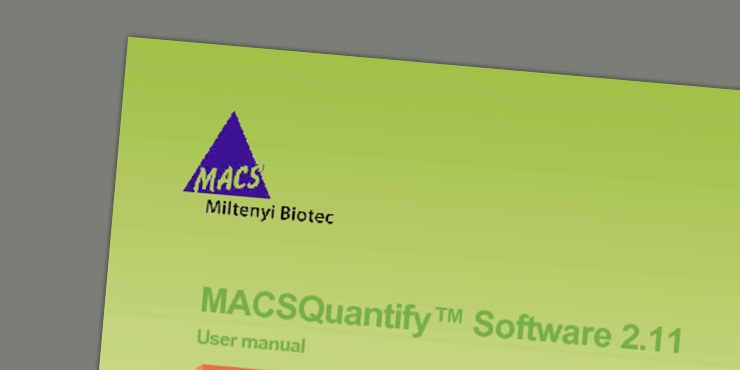 Find detailed information in the MACSQuantify Software 2.11 user guide.